This might be the most meaty demo at SAGE! Sonic Frenzy Adventure has been around a long time and it shows. 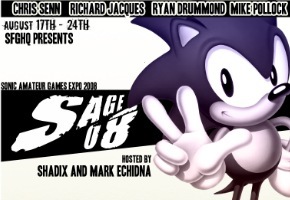 If the demo at SAGE is any indication of the amount of content we can see in the final game, than Sonic Frenzy Adventure is going to be a very, very large game. The demo clocks in at five zones – more than any other game I’ve played at SAGE so far, with five playable characters. The website promises 14 levels total for the final game, including three secret levels. In turn, I suppose that means the demo provides nearly a third of the overall game. It is then unfortunate that Frenzy Adventure is all over the map in terms of quality. While it would be easier to single out earlier levels as being old work in dramatic need of a revamp, the quality of most of the levels I tried remains inconsistent – sometimes appearing downright sloppy, in some places. The score tally at the end of the level never seems to work right, with the score wrapping around back to zero a number of times before it finishes, for example. I never have really figured out what the “Ring Level” stuff has to do with anything and the game never sufficiently explains it. All text in the menus for the game appear as boxy squares. The Sonic Worlds “Start” Icon is plainly visible in one level. I often get hit, but I never drop any rings; they just get set to zero and I have to quickly find more. The functionality of the shields never really seems to be clearly defined, and all shields look the same – they’re just different colors. And then there’s the fact that there’s a separate double jump power-up that seems to stay with you until you die – but it’s the only power-up I’ve found that alters your abilities like that, which is weird, because it has its own special spot in the game’s HUD where nothing else seems to go. The Chao minigame included seems to be sort of interesting, but I never can hold on to enough rings in the levels themselves to really make use of it and it actually froze at a black screen after attempting the Chao Battle tournament. And then you have the two new playable characters – Ania and Darkspeed. 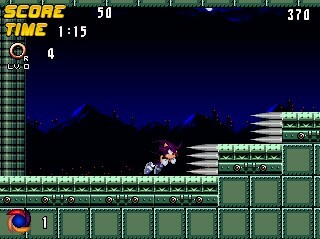 Why would you play as Sonic when Darkspeed seems to be much faster, and has much more useful abilities? Why play as Tails or Knuckles when Ania has a hover ability that, as long as you have the rings to support it, allows you to levitate for as long as you like, enabling you to go just about anywhere? It just doesn’t seem right that the game automatically became much more entertaining when I started playing as the new, fanmade characters; this is, after all, a Sonic fangame – but it feels more like the game was built for Darkspeed and Ania while simply “supporting” Sonic, Tails and Knuckles. Though while Darkspeed and Ania are more fun to play as, that doesn’t make the game any easier; like most fangames, the enemies in Frenzy Adventure look sort of weird and function sort of weird, too. Especially annoying are enemies that often have difficult-to-avoid attack patterns, either by being placed in precarious locations, being too small to see normally, or simply moving way, way too fast. All that being said, though, not unlike the more recent officially released Sonic games, there are moments where Frenzy Adventure “clicks” – and you find yourself having fun. 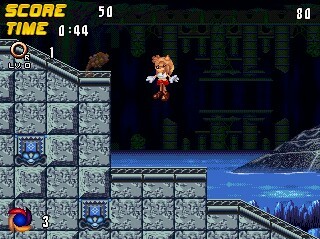 Each level is, for example, very uniquely designed – with unique enemies, and unique level design elements (“gimmicks”, as the SFGHQ community calls them). Though some of the “gimmicks” may not always feel right (such the hovering bumper things in Egg Hideout Zone), you can’t fault the game’s creator, BlueFrenzy, for trying something new in each and every level. Clearly, a lot of love and a lot of work went in to making Frenzy Adventure what it is – a fangame that is as flawed as it is fun. 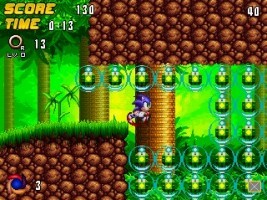 Yes, you can find entertainment in Sonic Frenzy Adventure – just be prepared to find frustration right along with it. Somewhere in here is a truly amazing Sonic fangame; it just needs another layer of polish for it to shine through.